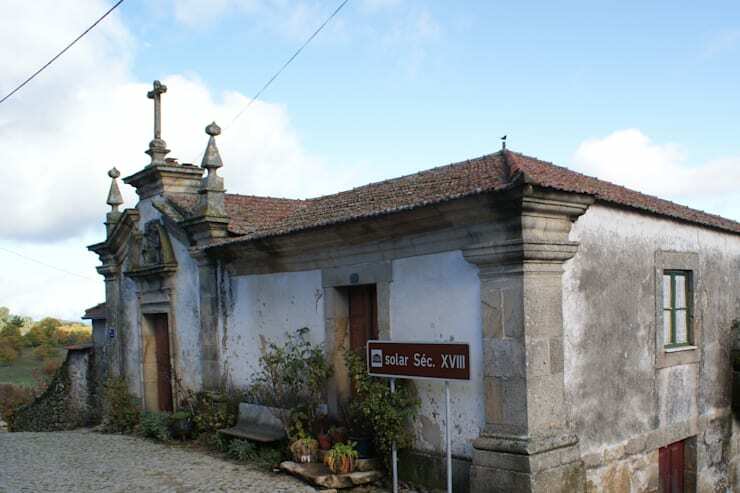 This northern Portuguese stone chapel was in ruins before architects ADVD Atelier were called in for a restoration. 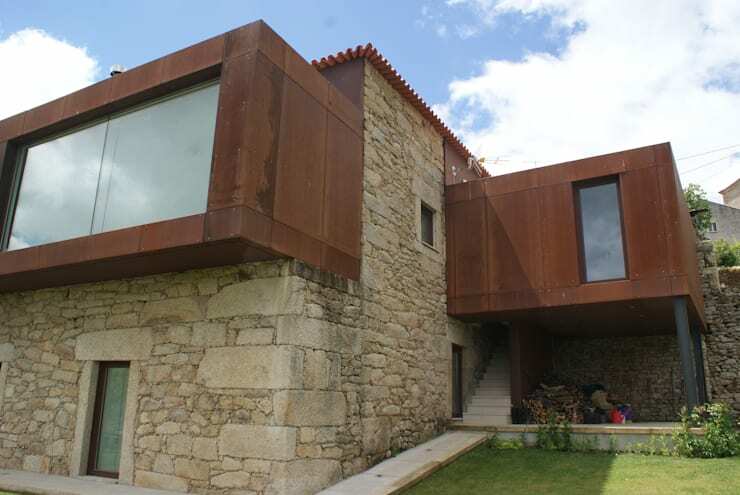 The architects managed to convert the interior of the home into a modern residence, while restoring the outer historical image of the building and setting aside some space to restore the chapel's old shrine. The result is a beautiful mixture of old and new that meets the new resident's needs while paying tribute to the religious origins of the building. The passage of time has not been kind to the roof or the stones. Everything is covered in a layer of ash, while the roof appears to be brittle. This lovely sun touched stone isn't new! The dirt and ash were scrubbed off the pillar and front stones(there must have been chemical cleaners involved). A matching stone was then found to cover the right side of the building. That roof was in such disrepair that it was outright replaced with new tiles in a phenomenal salmon. This colour was selected carefully, and the result is a bright and gorgeous buliding. All of the hallmarks of modern home design are here from the black and white contrast, to the open floor plan, to the bright hardwood floors. 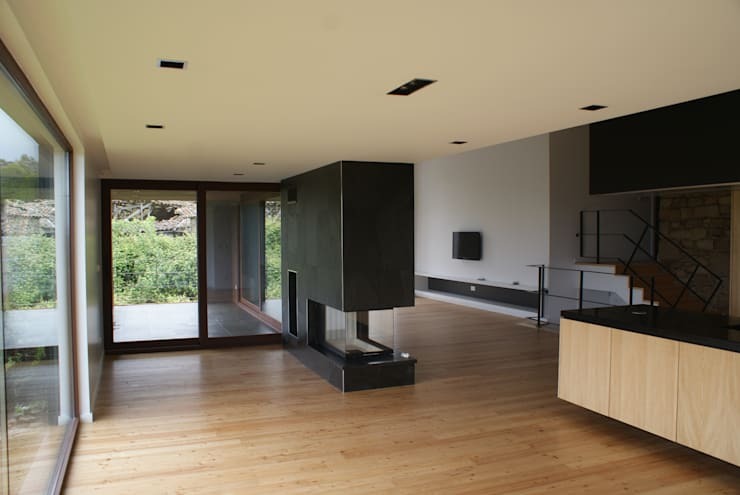 A magnificent black fireplace is the central feature of the home and it's geometrical design makes it quite the eye catcher. 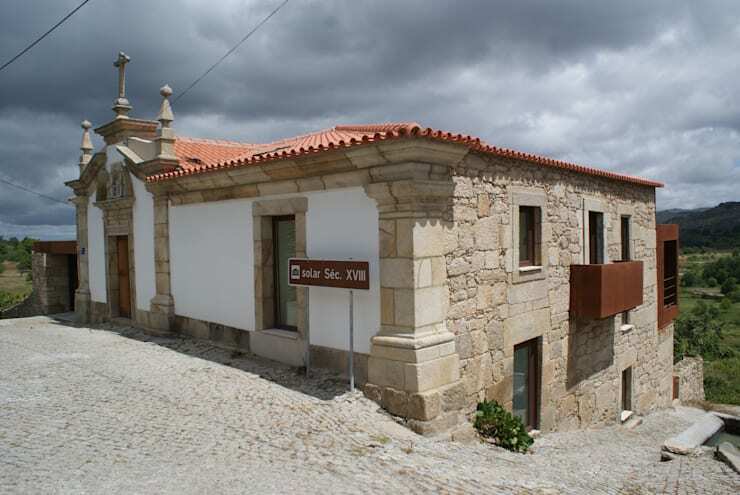 Of course, this little Portuguese chapel didn't start so modern and open. The previous owners had tried to convert the small yellow space into a home but they clearly weren't willing to knock down the walls. The least attractive feature has to be that odd yellow ceiling and we aren't surprised that the last owners didn't fix it-- a ceiling doesn't seem like the place to invest your money as most homeowners are unaware of the huge impact a new ceiling can make. 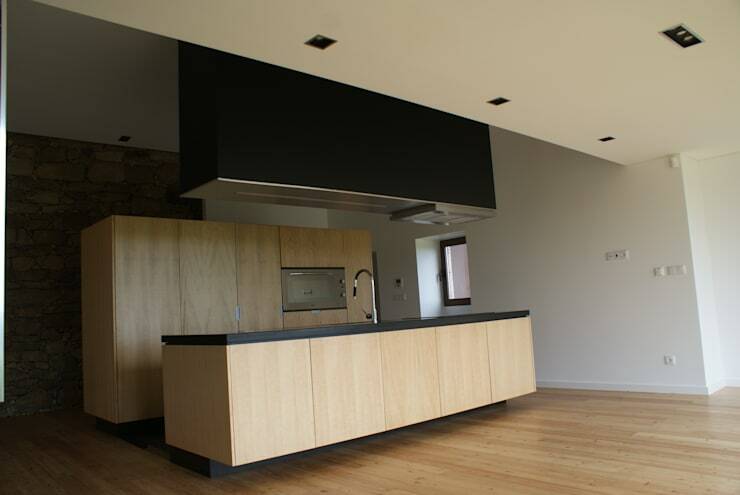 It's hard to even believe that this kitchen is the same space. Everything has been changed, including that hideous ceiling. The corner of the kitchen is revealing. 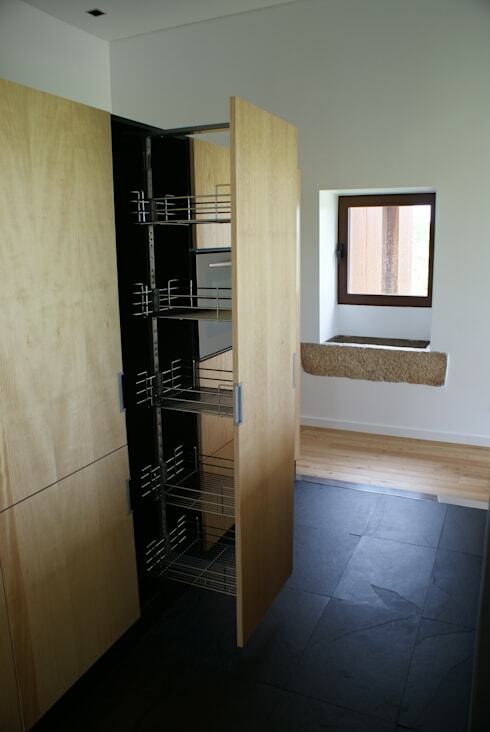 There's a functional pantry design that makes looking for the perfect spice that much easier. Some historical charm has been kept in the design of the window, with a concrete well and a wooden frame that feel natural and unique. 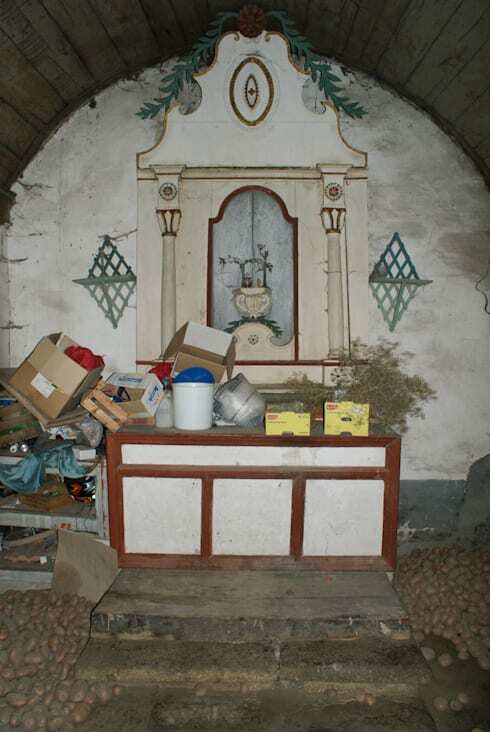 This was the sad state of the chapel's altar before the restoration. Not only is the altar crowded and dusty, but the originally coloured panels have faded and there seems to be some missing ornamentation. Great care was taken to restore the altar's magnificence. New yellow paint was sponged on, the pillars were replaced with new ones in a lovely pink, and gold accents surround the new image of the saint in the centre. 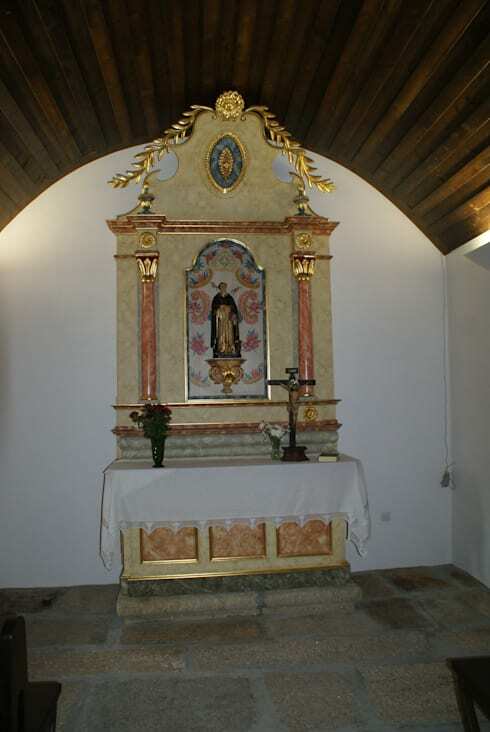 The altar has been restored as a place of reverence that also lends the home some amazing historical character. If you're as enthralled as we are with this heritage restoration, this charming restoration should pique your interest. There was nothing particularly wrong with the rear yard of the old chapel. 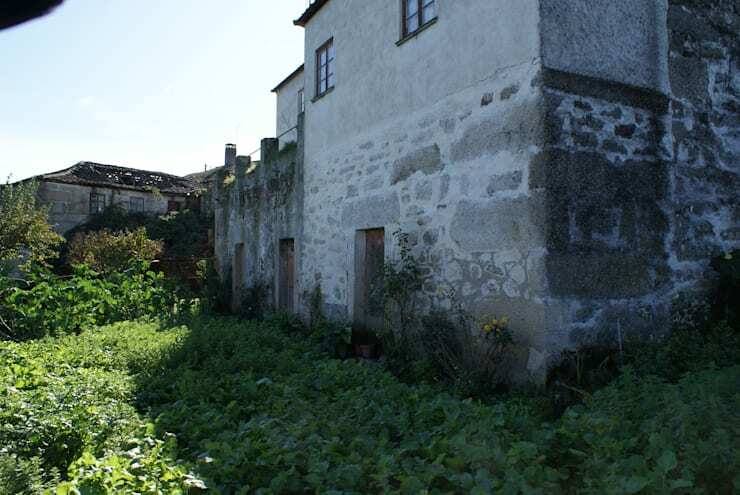 It had become overgrown and dirty with age, but nothing major needed to be accomplished here. The architects really went the extra mile for the rear of the building. The new stone maintains the building's character while the addition of some wooden features makes a modern statement. The grass has even been mowed! If you want the look of this thorough renovation but you're a little short on the cash you should read our guide on how to make the most of your renovation budget. 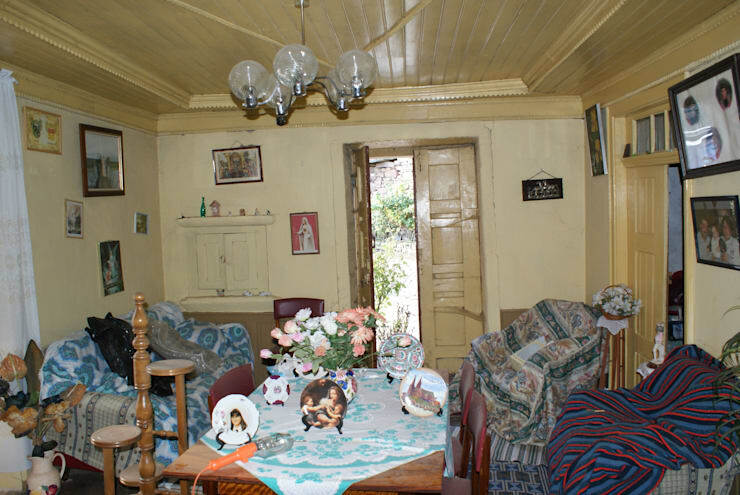 Would you have kept the altar if you were restoring this house? Let us know in the comments!